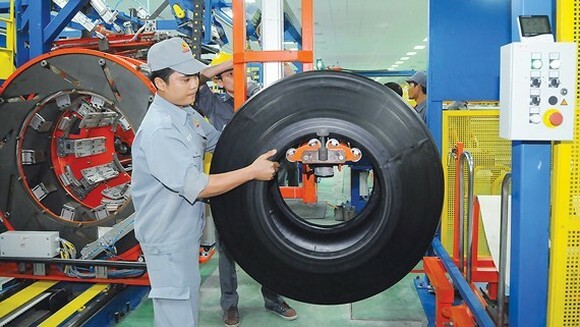 Vietnam’s export turnover in 2017 might obtain the highest growth rate since 2011, possibly to exceed the landmark of US$202 billion and top $210 billion, up 20 percent over 2016, according to the Ministry of Industry and Trade. Items gaining high export turnover include agricultural products and seafood, fuel, minerals and processing items. Of these, wooden product export was estimated to reach $7.6 billion, increasing 10.23 percent over 2016. Seafood was up 6 percent to $7.4 billion and farm produce hit $35 billion. In HCMC, cargo export turnover was estimated to total $35.2 billion in 2017, up 15.1 percent over the same period last year when it posted the growth rate of 5.2 percent, according to the Ministry of Industry and Trade. Items with high growth rates include vegetables and fruits 20.3 percent; rubber 32.6 percent; computers, electronic products and components 29.6 percent; transport means and parts 55.7 percent. The city saw a strong increase in the export turnover to Singapore, Myanmar and Thailand. Import turnover hit $43.1 billion, up 13.2 percent. The country most imported from India, China and the Philippines. Major import items include equipment and materials for production such as electronic parts and metals.